Located 2 km from the town of Guia, Quinta do Penedo offers rooms and self-catering houses in the tranquillity of the countryside. The property includes a football pitch and a swimming pool. A typical, whitewashed building, Vila Channa is a 10-minute walk from award-winning São Rafael Beach. The air-conditioned rooms overlook the countryside or outdoor pool with spacious sun terrace and loungers. The unit has an outdoor pool. 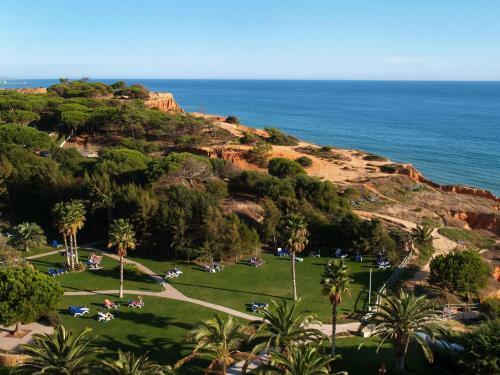 This 4-star hotel is conveniently located by the sandy beach of Praia da Falesia. It features extensive spa facilities and an outdoor pool. The air-conditioned rooms lead onto balconies. Set 500 metres from Albufeira Marina in Albufeira, this air-conditioned villa features free WiFi, a spa bath and a terrace. You can relax by the outdoor pool in the garden in fair weather. Free private parking is available on site. 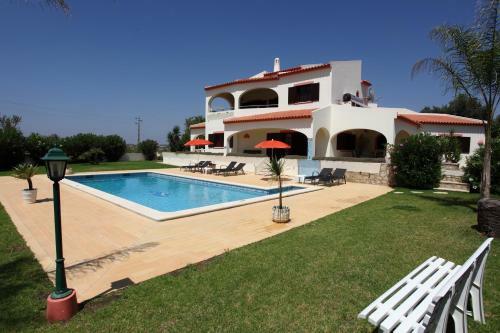 Located 2 km from Sesmarias, between Albufeira and Armação de Pêra, Vivenda Vista Mar offers an outdoor pool. The property is an 8-minute drive from most beaches of the area. Vivenda Vista Mar includes 3 twin bedrooms and 1 double bedroom.